I recently got my first K-Cup brewer, so I’ve started trying out many different coffee varieties including a few from Starbucks. So far, my favorite K-Cup from Starbucks is its Tribute Blend. I need to stock up on some because it’s only available for a limited time! I noticed when browsing the Starbucks web site there are others who feel the same way and wish it was available more often. It’s a rich, full-bodied blend with hints of cherry. 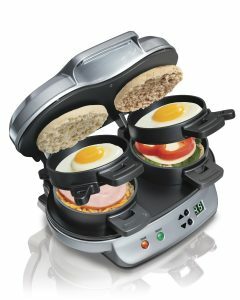 I like it first thing in the morning, and as an afternoon pick-me-up. Originally crafted for Starbucks’ 40th anniversary, it was so popular that the coffee company now releases it once a year during the spring. When it sells out, that’s it until next year. 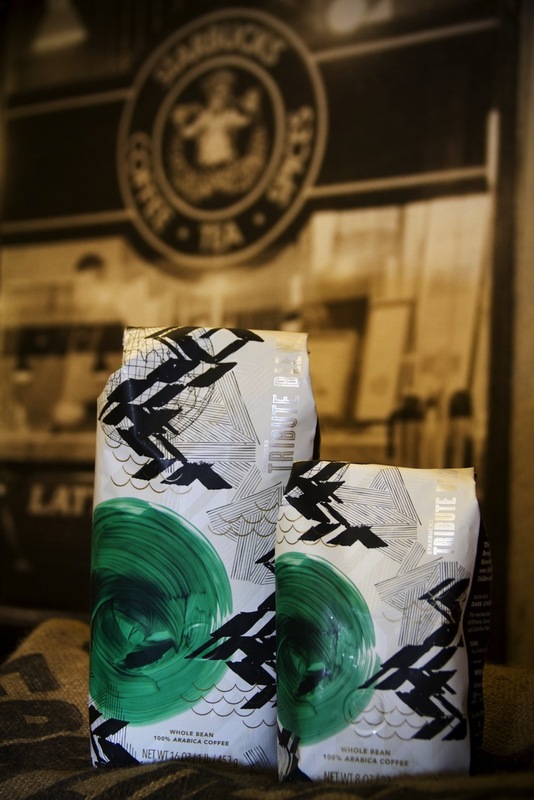 You can find the Tribute blend online at starbucks.com or at Starbucks retail shops, and in addition to K-cups it comes in whole bean packages, Verismo pods, and VIA instant packs. I had the opportunity to sample a couple coffees from the Starbucks Blonde Roast line. In case you’re wondering, the Blonde Roast was developed due to a customer demand for something milder than Starbucks’ standard offerings. So now, there is a “Starbucks Roast Spectrum” which divides the coffee into three profiles: Blonde Roast, Medium Roast and Dark Roast. The Blonde Roast coffees I tried were the new Bright Sky and Aria Blends. Aria is formerly known as Willow Blend (it was re-branded this spring), and it’s available in both regular and decaf. It’s a blend of Latin American and East African beans that includes lemony notes. Bright Sky contains Latin American beans, and it has a subtle nutty flavor. Since I tend to prefer darker roasts in general, these were enjoyable but I like the Tribute better. I ended up liking both blonde ones more when I chose to brew an 8 oz. cup as opposed to the traditional 10 oz. cup I brew. That made the coffee bolder (I have to thank my husband for this suggestion). People that like lighter roasts should definitely try both Bright Sky and Aria; they do have nice flavors. If you prefer darker but happen to live with someone who prefers a lighter roast, you could buy one of the blonde varieties and try the adjustment I made—see if it works you! 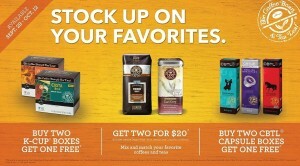 They are available at Starbucks retail stores and grocery stores, but not online. Bright Sky was made available in grocery stores beginning in January 2014. In addition to K-cups, Aria and Bright Sky come in ground coffee form. 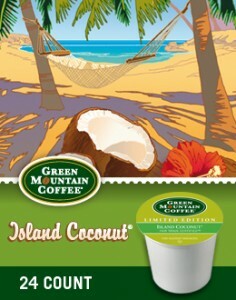 The first day of spring was March 20, and just four days later Green Mountain Coffee released its newest seasonal coffee: Island Coconut. Available only for a limited time, it comes in K-cup packs and in bags. I had the opportunity to sample it for free—as a K-cup—and it’s mild and smooth. The exotic flavors are slightly sweet yet fairly subtle. In fact, I am NOT a huge coconut lover, yet I enjoyed this! It’s a light roast, and there are no bitter notes. Like all of Green Mountain’s seasonal varieties, Island Coconut is Fair Trade Certified™. Fair Trade certification gives farmers a fair price for their beans with a guaranteed minimum, which means they can invest in their crops and their communities. In 2000, Green Mountain Coffee Roasters became one of the first roasters in the US to offer Fair Trade Certified™ coffees, and in 2012, the company was named the world’s largest purchaser of Fair Trade Certified™ coffee by Fair Trade USA for the third consecutive year. Don’t yet have your own K-cup machine? Keurig’s Elite brewer works fast and makes great coffee, and it comes in Coconut White if you want to keep up the tropical theme inspired by Green Mountain’s Island Coconut coffee. Actually, I happened to notice on the Keurig web site that it’s on sale through 4/17, for $100 (discounted from $120) — I checked the Green Mountain site and it is offering the same deal. On both sites, there’s also a “mini” system on sale for $80 from $100.